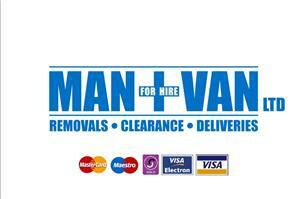 Man Plus Van Ltd - Removals/Storage, Rubbish/Waste/Clearance based in Portsmouth, Hampshire. Hi, thanks for looking at our page. We are Man plus Van ltd a Family run business. For a quick response please call, e-mails can't always be answered immediately. We accept all major credit and debit cards & PayPal. We are FULLY INSURED for public liability, and we take care in handling your goods. Low cost reliable removals & Storage solutions, house clearances & transportation services. Hire by the hour or by the day. 1, 2 or3 man/woman and a van, have a number of Luton’s available. Along the south coast and throughout the UK. WE HAVE LOTS OF STORAGE SPACE. WE SELL BOXES & PACKAGING MATERIALS. WE CAN DO ALL THE PACKING IF REQUIRED. · Free scrap metal collection! licensed waste carriers. · Extra Large 316 Mercedes Sprinter Luton van with 125 Sq feet of space in the back. Call or text our friendly team now! Did you know? We do garden clearances, fence work, concreting, slab laying, & decorating in and around the home. We also offer professional cleaning services to the home or work place. Portsmouth, Southsea, Fareham, Gosport, Lee-on-the-Solent, Hampshire.